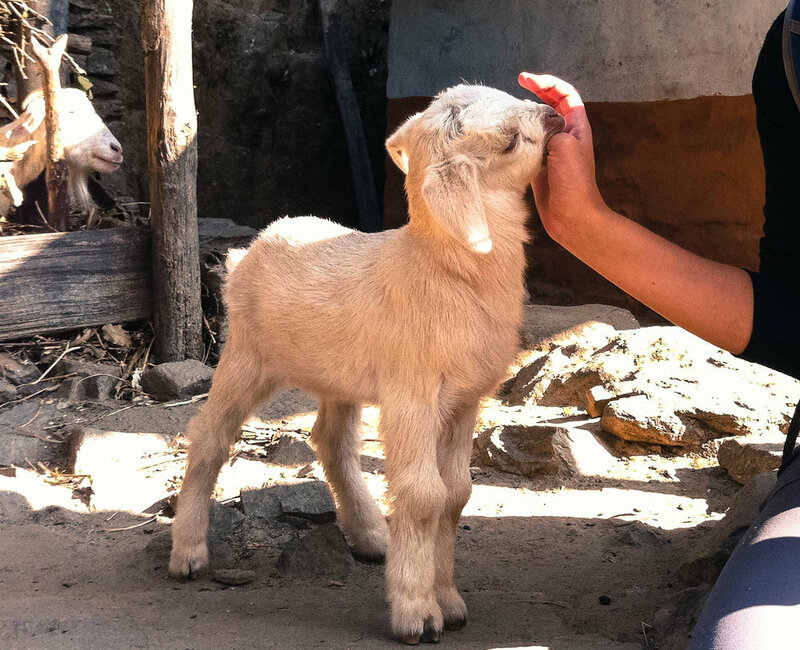 Baby goat nibbles near Shivalaya, Nepal. Why a love of Cheese? All the cheesy love that goes into The Geography of Cheese started with a few goats in Nepal. Those capricious, silly animals brought comic relief to a very long, independent trek through the Himalayas. Since then, jobs on goat farms and sheep stations from Europe to Asia were regular adventures. One experience on a goat farm in Israel combined a love of goats with cheese-making. Cheese turned out to be a fascinating product, not simply a delicious food. Since Israel, an interest in cheese production, styles, and history progressed into a passion. After moving back to Tokyo, it was hard to ease cravings for good cheese with what's found in Japanese grocery stores. Questions kept surfacing about the cheese world in Japan. Where is the good stuff? And who is making it? The Geography of Cheese begins with these questions. And it continues as an adventure through the stinkiest, gooiest, most umami cheese places of Japan. Let's learn some more about this amazing country through cheese.